Getting involved in drama in high school helped me come out of my shell a bit. When involved in an activity with other like-minded students, which we all enjoyed, it was wonderful not to experience rejection on a daily basis, like junior high. I can’t say I had no rejection in high school, but if I did, it must have been so minor, that I don’t remember it. By the time I was a senior in high school, I was living the life! In drama, in instrumental music, having a wonderful time. Several things I give credit to. First, I gave my life to Christ between my sophomore and junior years, the summer of 1970. God had a young man in our town ask me a question when I auditioned for a young peoples’ music group he was directing. He asked, “Have you ever had an experience with God?” Huh? I struggled to find an answer. An interesting shift occurred toward the end of my junior year. I got a new clarinet. That’s a story for another post. As a result, I was awarded a scholarship from a family whose teenage son had died before he graduated from high school several years before me. Monies that would have been used for his college education were parceled out to needy and deserving high school students to take private music lessons. I was privileged. The shift: Drama had always been my main passion and interest in high school. I was involved in backstage crews all through high school. My junior year, I got a couple of parts. That was fun! My senior year, I got a major role in “Our Hearts Were Young and Gay.” I loved the part of Cornelia Otis Skinner’s friend Emily Kimbrough. After that, however, my music, my clarinet lessons, and preparing for State Music Festival took up a lot of my time. 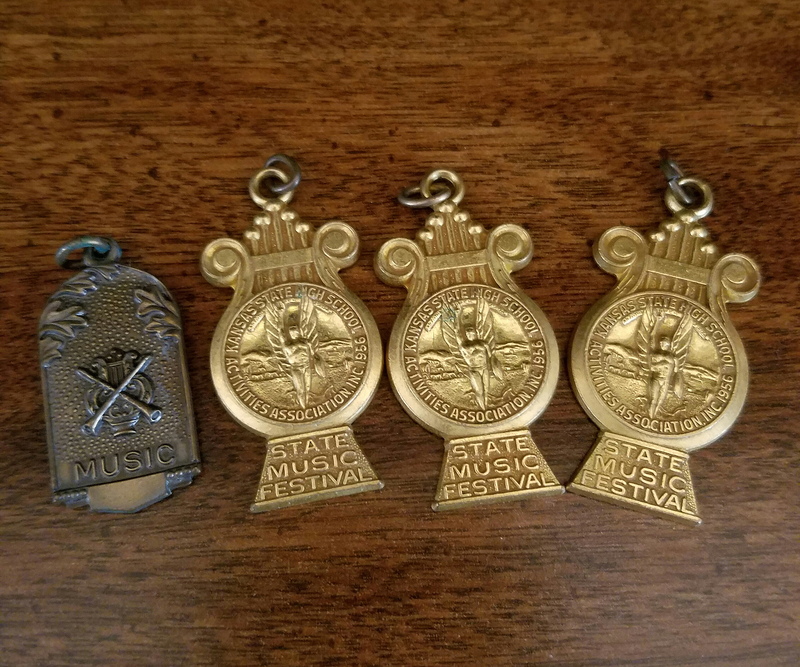 It paid off in the spring with medals, including a “I” (one, the highest) for my clarinet solo I’d been working for months on, plus a couple small groups (see photo above). 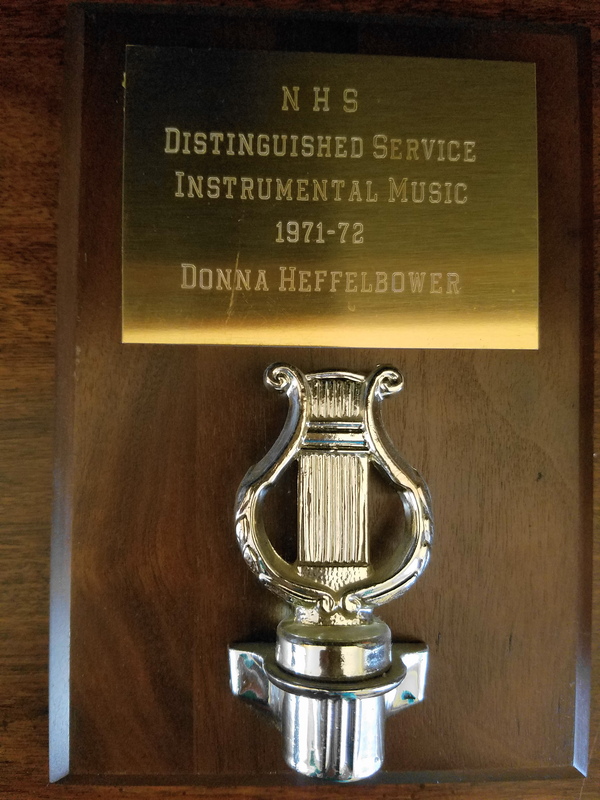 That led to another award at the end of the school year, the inaugural year of Distinguished Musician. I wasn’t the only one to receive it, but I certainly didn’t expect to receive one. My senior year was the best year of my life at the time. I was using my talents and gifts, having so much fun, probably the most fun I’d ever had…with virtually no rejection that I remember. I began to wonder, is this the way normal people feel?